When faced with complex problems, we have all become accustomed to looking to our leaders to set out a plan of action, to blaze a path to success. 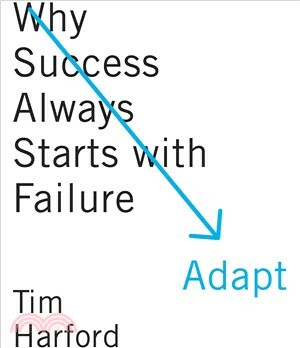 In this groundbreaking work, Tim Harford shows us a new and inspiring approach to solving the most pressing problems in our lives. Harford argues that today’s challenges simply cannot be tackled with ready-made solutions and expert opinions; the world has become far too unpredictable and profoundly complex. Instead, we must adapt. Deftly weaving together psychology, evolutionary biology, anthropology, physics, and economics, along with compelling stories of hard-won lessons learned in the field, Harford makes a passionate case for the importance of adaptive trial-and-error in tackling issues such as climate change, poverty, and the financial crisis.